What is it? 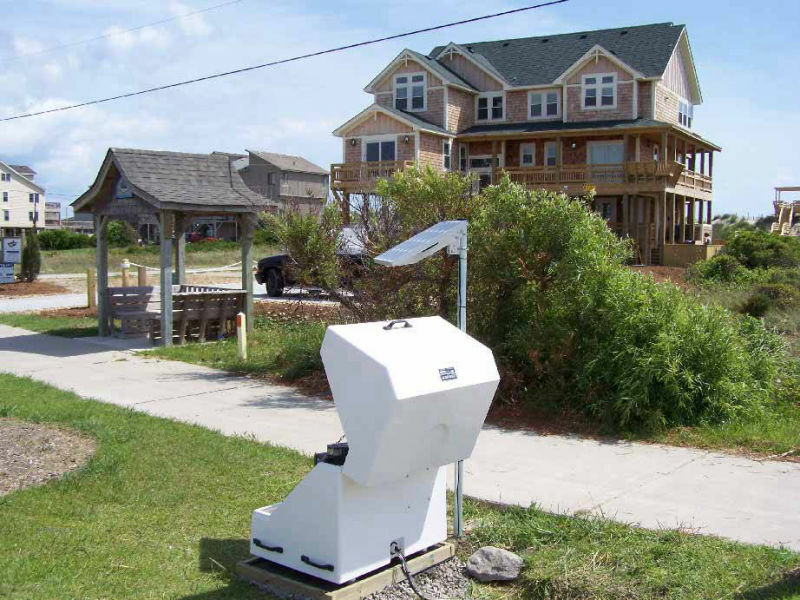 The Storm Box is a clam shell enclosure that was designed to house all of the components required for a remote water monitoring/sampling project. 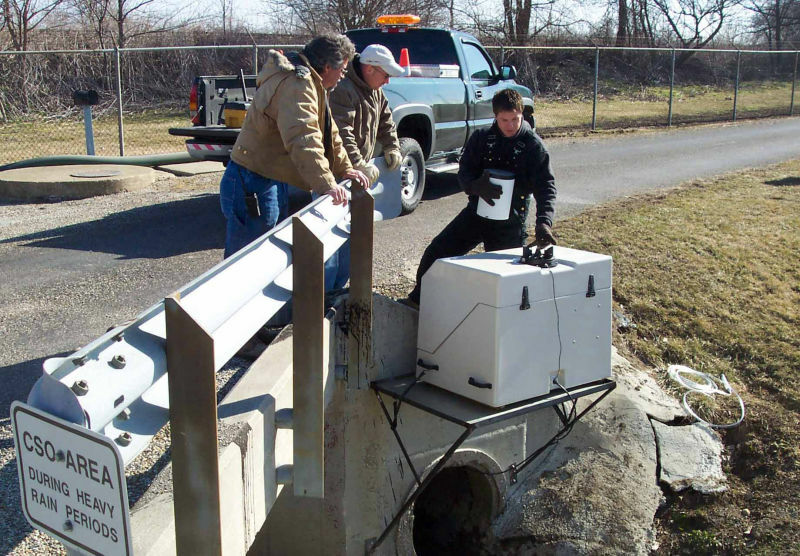 Placing the expensive water monitoring in a pad-lockable out of sight out of mind enclosure helps ensure the safety of this equipment and ensure that monitoring is done correctly the first time. 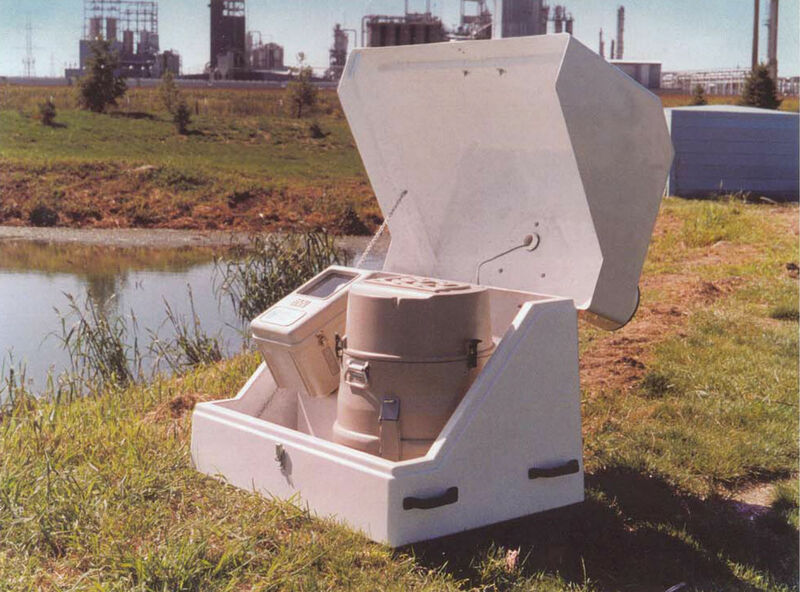 The enclosure is manufactured in molded fiberglass to maximize the life of the enclosure and reduce its weight. What's in it? 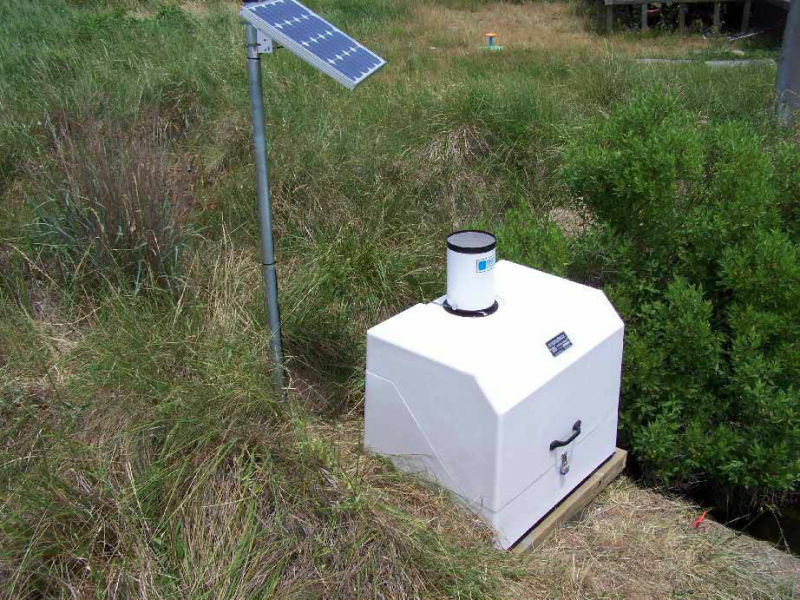 The Storm Box is manufactured with mounting positions and anchors for a standard ISCO water monitoring application. 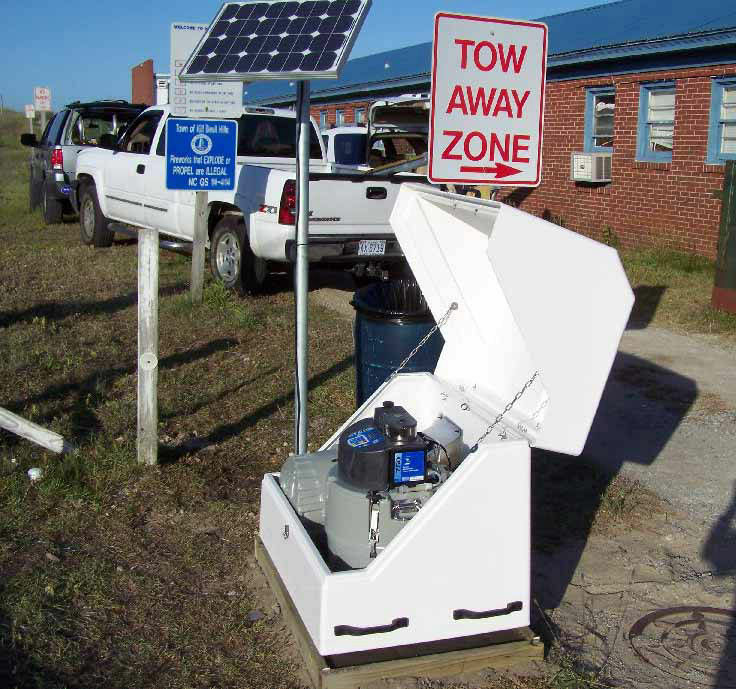 A mounting bracket for the ISCO 4200 flow-meter, the ISCO 6700 sampler, and a deep cycle marine battery are standard. A port is supplied on the back of the unit for the exit of all tubes and fittings and the floor is equipped with a drain for any spills within the enclosure. 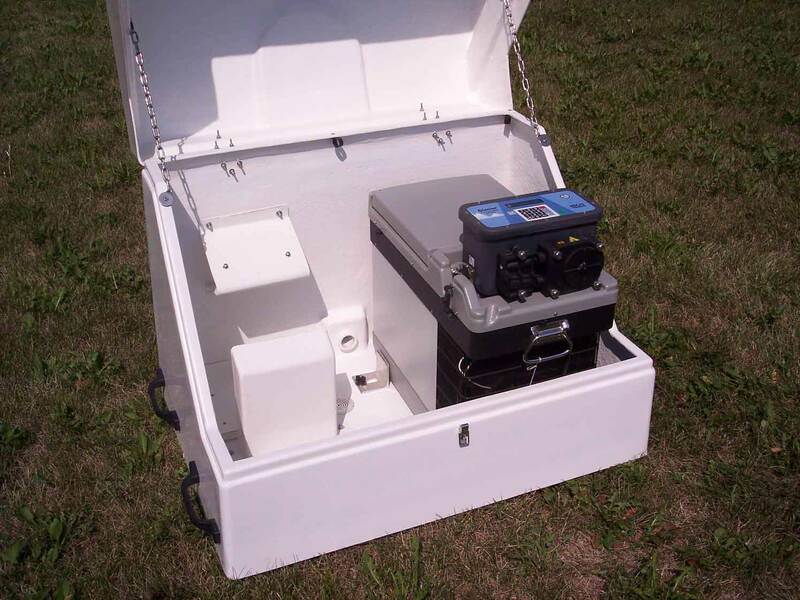 The Storm Box also has standard options to allow for ISCO Glacier and Avalanche samplers, ISCO rain gauges, AC Power supply, heaters, and many other options to accommodate the application.